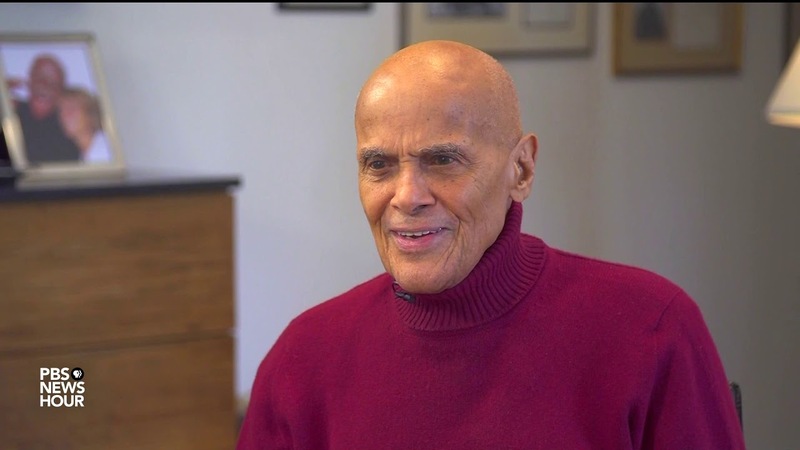 BTR News – Harry Belafonte, a close friend of Dr. Martin Luther King Jr spoke recently to special correspondent Charlayne Hunter-Gault of PBS in marking the 50th commemoration of Dr. King’s assassination. Mr.Belafonte said America is more racially divided than any other moment in his life and he placed the blame on white people who refuse to change course and he went on to say “the only thing left for Black people to do is burn it down”. An often repeated lie by some Black people who took one sentence from a conversation Dr. King had with Harry Belafonte in which he said to the activist/entertainer, “I have come to believe that we are integrating into a burning house”, is used out of context to suggest Dr. King was denouncing his work against the institutional racism that relegated Black Americans to a second-class citizen status. However, what Dr. King actually meant is clear when one doesn’t cherry pick from the conversation between the two in which Dr. King spoke about the violent and fiery rebellions that were erupting because of racial injustice during his day. Dr. King was talking about a fiery destruction of America because it continues to provoke the poor and disenfranchised masses in much of the same ways that caused American colonists to rise up against the British after the Boston Massacre which was a protest against the brutality of British soldiers that turned deadly inspiring the American Revolution which brought an end to British rule. Both the British and American Colonists employed arson as a weapon of warfare against each other. Unfortunately, the American Revolution was highjacked by racist slavers like the George Washingtons and the Thomas Jeffersons of that day and the narrative was changed to a fight against “taxation without representation”, something that Dr. King and other civil rights leaders fought against when they pressured the US government to enact federal laws protecting the voting rights of Black Americans. Today those voting rights protections have been rolled back as conservatives continue their mission to undermine democracy in the United States through voter id laws and gerrymandering voting districts. It should also not be lost on people that it was emancipated victims of slavery who aligned themselves with the British over promises of freedom from the tyranny of the slaveocracy in America who set fire to the White House, which was built using stolen labor. It is quite ironic that free Black colonists and victims of slavery mistakenly believed that if they helped the colonists prevail against Britsh they would be treated as equal citizens and obtain freedom from racial oppression are the sole reason that the Continental Army was able to prevail while those who sided with the British were given their promised freedom and relocated to present-day Canada where they lived out their days and today, the descendants of those who helped liberate the colonists are still dissportionately facing legalized slavery via the 13th Amendment after helping the Union put down the Confederacy who also set fire to the South burning down plantations as they marched towards victory over their military opponents. It should also occur to students of history that Dr. King was pressured to one-sidely condemn the firery rebellions of his day and his name is often invoked today when similar fiery rebellions have broken out like was seen in Ferguson. Dr. King was clear in his rebuke of those who attempted to get him to bad mouth the participants without condemning the societal conditions that produce riots and that if America seeks to prevent rioting then it must produce justice for the victims. One does have to wonder, what else is there for Black Americans to do after more than proving and earning their right to be free from racial oppression that some white Americans seemingly are addicted and to this day continue to deny Dr. King’s dream of an equitable society. Author: Black Talk Media Project founder Scotty Reid is the host of BTR News and New Abolitionists Radio which he co-hosts. He has been hosting and producing news talk radio and podcasting since 2007 and has interviewed hundreds of guests on various topics. He is also a freelance writer who focuses on social and political issues from around the world and has been published by various outlets. Currently, the live program is on hiatus but check the feed for pre-recorded podcasts. Previous Previous post: 1.5 Million Missing Black Men ~ Where Do We Start?